MachineStation is keenly involved in the auction facilitation helping sellers capitalize on their surplus assets. Whether it be a Complete Plant or individual equipment. 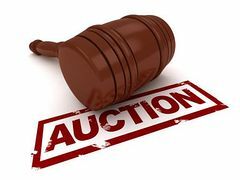 We work with nationally recognized auctioneers in finding the type of auction best suited for the seller’s unique situation and needs. If you have individual equipment or several pieces of machinery that you would like to sell we can help! Please contact us at 909-919-9600 or email us and give us an opportunity to convert your surplus into Cash today.